Marco Gavelli ha conseguito la laurea in ingegneria elettrica presso il Politecnico di Torino nel 1995. Dal gennaio 1996 al dicembre 1998 ha lavorato come ricercatore associato presso gruppo di sicurezza del Politecnico di Torino (Torsec). Dal gennaio 1999 al febbraio 2001 è entrato in Telsy (gruppo Telecom Italia), come R&D Engineer dove ha partecipato alla progettazione di un dispositivo di rete IPSec. Dal marzo 2001 al marzo 2003 è stato consulente senior del RSI Sistemi (gruppo Altran ) in qualità di architetto del sistema DRM per l’operatore di telecomunicazioni Hutchison3G. Da aprile 2003 ad oggi è ricercatore presso l'Istituto Superiore Mario Boella dove si occupa di applicazioni e servizi nelle reti wireless. Marco Gavelli received the degree in electrical engineering from Politecnico di Torino in 1995. From Jan. 1996 to Dec. 1998 he was working as an Associate Research at the Politecnico di Torino Computer and Network Security Group. From Jan. 1999 to Feb. 2001 he joined Telsy (Telecom Italia group) as R&D Engineer where he took an active part in the design of a IPSec network device. From Mar. 2001 to Mar. 2003 he was a Senior Consultant with RSI Sistemi (Altran group) acting as DRM system architect for a 3G telecom operator -Hutchison3G. 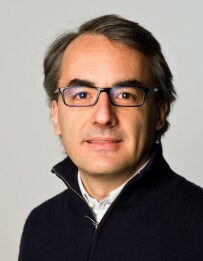 From April 2003 to present he has been a researcher at Istituto Superiore Mario Boella investigating Applications and Services in wireless networks. Parodi, E., D. Melis, L. Boulard, M. Gavelli, and E. Baccaglini, "Automated Newborn Pain Assessment Framework Using Computer Vision Techniques", International Conference on Bioinformatics Research and Applications 2017 - ICBRA 2017, Barcelona, Spain, 12/2017. Maria, G., E. Baccaglini, D. Brevi, M. Gavelli, and R. Scopigno, "A drone-based image processing system for car detection in a smart transport infrastructure", 18th Mediterranean Electrotechnical Conference – MELECON 2016, Limassol, Cyprus, 04/2016. Raimondo, N., E. Baccaglini, L. Boulard, M. Gavelli, and R. Maratini, "A truck fleet-based data integration framework for adaptive re-routing", 11th ITS European Congress , Glasgow, Scotland (UK), 06/2016. Vergori, P., E. Baccaglini, M. Gavelli, L. Cafforio, A. Fiandrotti, M. Mattelliano, A. Mosca, and P. Praz, "CDVSec: Privacy Preserving Biometrical User Authentication in the Cloud with CDVS Descriptors", IEEE BIF2016 - International Workshop on Biometrics and Image Forensics, Palinuro, Salerno (Italy), 06/2016. Gavelli, M., L. Boulard, E. Baccaglini, P. Vergori, and R. Scopigno, "Good practices for populating a CDVS database for archaeological sites and museums", Electronic Imaging & the Visual Arts - EVA 2016, Saint Petersburg, Russia, 06/2016. Baccaglini, E., M. Gavelli, M. Morello, and P. Vergori, "A Multimodal User Interface Using The Webinos Platform To Connect A Smart Input Device To The Web Of Things", 5th International Conference on Pervasive and Embedded Computing and Communication Systems (PECCS), Angers, Loire Valley, France, 02/2015. Cicala, L., C. V. Angelino, N. Raimondo, E. Baccaglini, and M. Gavelli, "An H.264 sensor aided encoder for aerial video sequences with in the loop metadata enhancement", Advanced Concepts for Intelligent Vision Systems (ACIVS), Catania, Italy, 10/2015. Baccaglini, E., M. Gavelli, M. Morello, N. Raimondo, and R. Scopigno, "Image-processing assisted characterization of spray injection systems", IEEE International Conference on Industrial Technology (ICIT), Seville, Spain, 03/2015. Angelino, C. V., L. Cicala, G. Persechino, E. Baccaglini, M. Gavelli, and N. Raimondo, "A Sensor Aided H.264 Encoder Tested on Aerial Imagery for SFM", IEEE International Conference on Image Processing (ICIP), Paris, France, 10/2014. Fiandrotti, A., G. Ballocca, M. Gavelli, M. Mattelliano, M. Morello, A. Mosca, and P. Vergori, "Demonstrating the New Compact Descriptors for Visual Search (CDVS) Standard for Image Retrieval on Mobile Devices", IEEE International Conference on Image Processing (ICIP), Paris, France, 10/2014. Ballocca, G., Fiandrotti, A, M. Gavelli, M. Mattelliano, M. Morello, A. Mosca, and P. Vergori, "Movie On the Road: a Multimedia-Augmented Tourist Experience with CDVS Descriptors", ISMAR, Munich, Germany, 09/2014. Cesario, V. A., L. Cicala, M. De Mizio, P. Leoncini, E. Baccaglini, M. Gavelli, N. Raimondo, and R. Scopigno, "H. 264 sensor aided video encoder for UAV BLOS missions", Proceedings of International Conference on Image Analysis and Processing-ICIAP, pp. 749-752, 09/2013. Cesario, V. A., L. Cicala, M. De Mizio, P. Leoncini, E. Baccaglini, M. Gavelli, N. Raimondo, and R. Scopigno, "Sensor Aided H.264 Video Encoder for UAV Applications", Proceedings of Picture Coding Symposium, PCS, 12/2013. Baccaglini, E., M. Gavelli, N. Raimondo, R. Scopigno, and F. Palma, "Terafly: a THz image-processing-based architecture for semi-automatic industrial inspection and measurement", 37th IEEE International Conference on Infrared, Millimeter, and Terahertz Waves (IRMMW-THz), Wollongong, Australia, 09/2012. Vergori, P., C. Ntanos, M. Gavelli, and D. Askounis, "The webinos architecture: a developers point of view", Mobicase Conference, Seattle, USA, 10/2012. Baccaglini, E., M. Gavelli, N. Raimondo, R. Scopigno, and F. Palma, "Towards an efficient THz image-processing-based inspection framework", 3rd EOS Topical Meeting on Terahertz Science & Technology (TST 2012), Prague, Czech Republic, 06/2012. Raimondo, N., E. Baccaglini, M. Gavelli, R. Scopigno, and F. Palma, "A flexible THz-based image processing technique for industrial component inspection", Workshop of International Terahertz Research Network , Osaka, Japan, 11/2011. Palma, F., D. Coquillat, F. Teppe, W. Knap, M. Gavelli, N. Raimondo, and R. Scopigno, "Study of the feasibility of a sub THz system for nondestructive investigation of carbon and Kevlar fiber composites", Workshop of International Terahertz Research Network , Osaka, Japan, 11/2011. Raimondo, N., M. Gavelli, Q. Xu, and R. Scopigno, "Terahertz Imaging and Non-Disruptive Inspection: a Practical Case", IEEE IRMMW-THz2011 Conference, 10/2011.